It's Christmas is nearing and if you looking to get your adrenaline pumping on this festive season, I might have a suggestion for you. 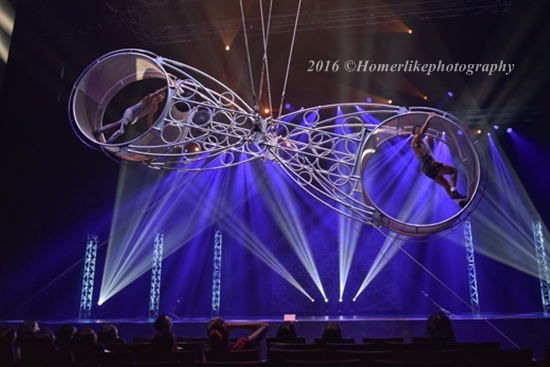 A new genre of circus performance that blends the traditional acts with the new; mixing clowns and trapeze artisits with daredevil motocyclists and complex aerial stunts is currently town, but not for long! From the producers of acclaimed shows The Illusionists and Le Noir, Cirque Adrenaline is set to roar at MasterCard Theatres in Marina Bay Sands for a limited season from 15th to 25th December 2016. 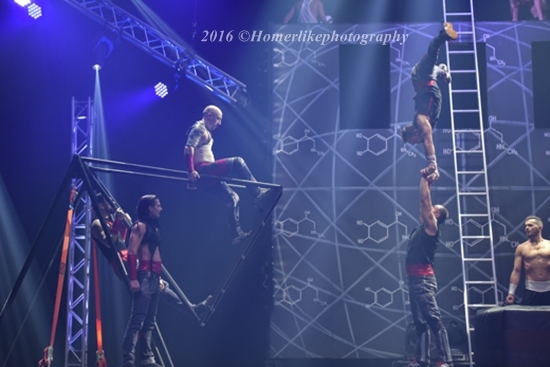 With a troupe of over 30 performers, Cirque Adrenaline is renowned worldwide for its theatrical flair and breath-taking acrobatic displays both on the ground and high above the stage. 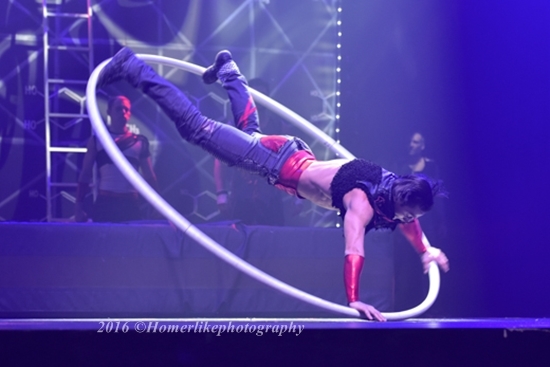 You would not want to miss the jaw-clenching show that boasts the world's most daring and death defying acts - Wheel of Death and the Sphere of Fear. During the performance of Wheel of Death, I must admit I was sweating and praying for the two young performers when they were trying their death defying act of keep their balance while they carried out their synchronized acrobatic skill both inside and ON the giant wheel-like rotating apparatus right in front of your naked eyes! 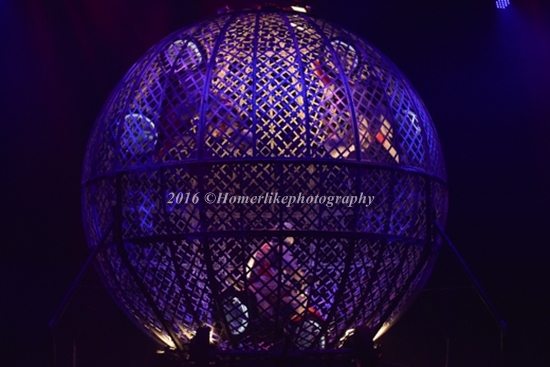 For the Sphere of Fear, it's crazy enough to just imagine able to ride inside a metallic sphere cage 360 degree from up and down, left to right but to see 3 daredevils doing that at the sametime in full speed is just insane! If you don't wish to miss any of these adrenaline pumping acts, though not for the faint-hearted, quickly get your ticket today to catch the Cirque Adrenaline before it leaves town! Come Celebrate Starbucks' 20th tomorrow!